The past few days have been full of terrible and devastating news, all distressed of what happened. Today is Day 8 after the devastation. 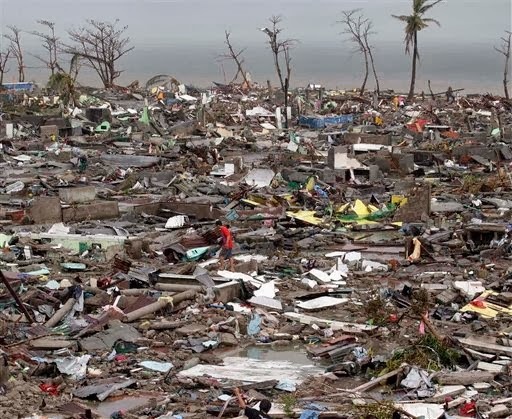 I couldn't find a word to describe it because devastation doesn't even fit to detail Yolanda, the super typhoon with sustained wind of 315 kph and gusts reaching 380 kph. I couldn't even imagine how strong it was, the ferocious wind and tsunami combined. 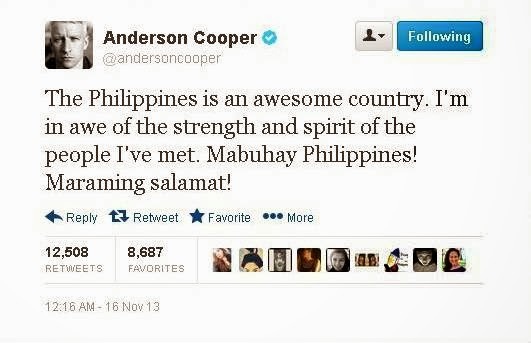 My sister's neighbor's family is from Tacloban. Like other survivors, they shared the same horrible story of how they survived. They crawled inside the ceiling of their house, hung on for their lives for six hours and if five more inches of flood emerged, they wouldn't survive, and probably would die. The next day, all that's left with them was nothing. They walked barefoot for six hours, walk past dead bodies lying on the street, scavenging whatever food they could get to survive and waited desperately for four days with some heavy rain while waiting to board a military aircraft to evacuate. 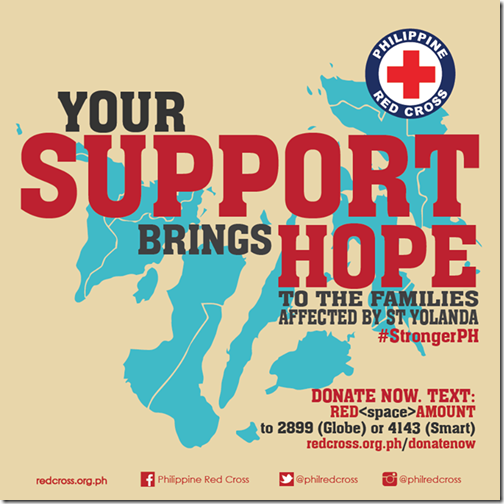 Each survivor has their own unimaginable horror story of Yolanda. 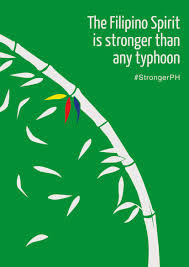 If there is no word to describe devastation, likewise, no exact word fits to describe how strong Filipinos are.- because we are stronger than any typhoon. No matter how strong the wind is, we simply bend but we never break. We have an average of 20 typhoons every year and other calamities... and quickly recover.. and..